Subscribe to Autodesk® AutoCAD LT® and create precise 2D drawings faster with easy-to-use drafting tools. Easily identify and document graphical differences between two revisions of a drawing. Enjoy faster zoom and pan, and change draw orders and layer properties with 2D graphics enhancements. Take your work with you with the new AutoCAD web and mobile apps. Subscribing to AutoCAD LT means you’ll always have the latest feature updates, the reliability of the TrustedDWG™ technology, and the ability to design from wherever you are, whenever you want with web and mobile apps. Autodesk® AutoCAD LT® drafting software helps value-conscious design professionals create precise 2D technical drawings. • Productivity: Innovative 2D drafting tools and features minimize repetitive tasks and help users work more quickly and efficiently. • Compatibility: TrustedDWG™ technology helps ensure that files are compatible with other Autodesk® software and supports data fidelity. 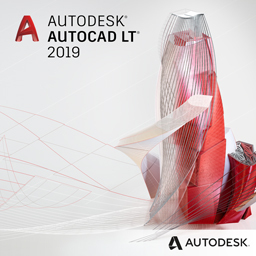 • Reliability: AutoCAD LT is based on Autodesk® AutoCAD® software technology, a design platform trusted by millions of professionals for over 30 years. If you’re interested in viewing a software demonstration of AutoCAD LT, please contact our sales team. Applied Engineering is happy to schedule a face-to-face or web demonstration at a time that is convenient for you. Contact us if you’re interested in purchasing AutoCAD® LT. An Applied Engineering technology sales consultant can normally have a quote to you within hours. Applied Engineering is authorized to sell Autodesk products throughout the United States and has offices in Minnesota, North Dakota, South Dakota and Wisconsin.